www.searchingforreason.net : September Country Over Party Newsletter. CONGRESSIONAL CANDIDATE KEN HARBAUGH. September Country Over Party Newsletter. CONGRESSIONAL CANDIDATE KEN HARBAUGH. It’s official: We’re less than 50 days away from the election and Team Harbaugh is trying to make the most out of every single day between now and November. Every day we’re meeting with voters, knocking on doors, and getting the word out. Whether it’s a community event for hundreds or a backyard conversation with a handful of people, Ken’s making his way through every county in the Ohio 7th. Every single Ohioan who does an honest day’s work should be able to support a family and get ahead. That’s a concept that should be remembered every single day of the year -- not just on Labor Day. 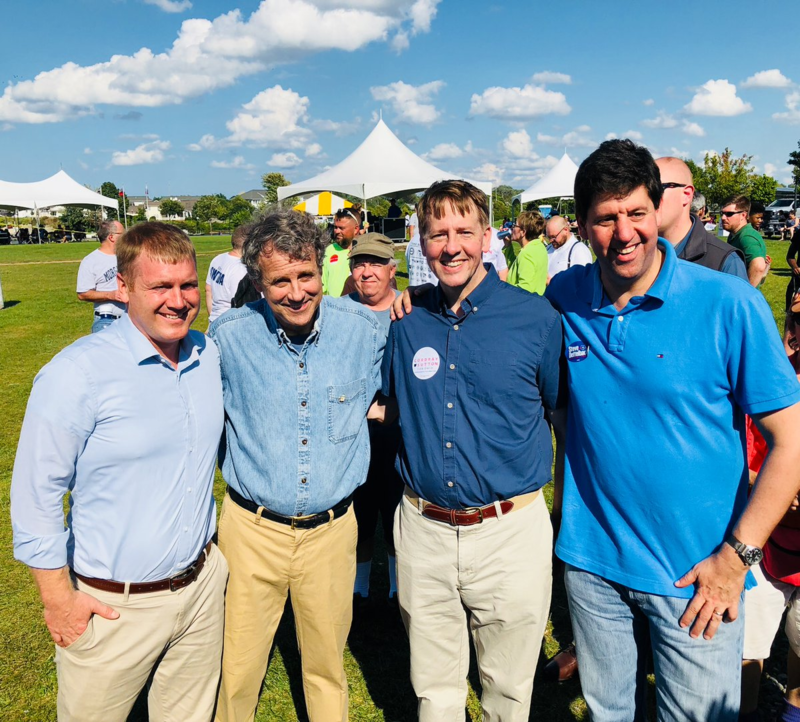 Ken’s proud to be on the ballot with fellow candidates Ohio Senator Sherrod Brown, Rich Cordray, and Steve Dettelbach who understand that and have worked tirelessly to represent working families. 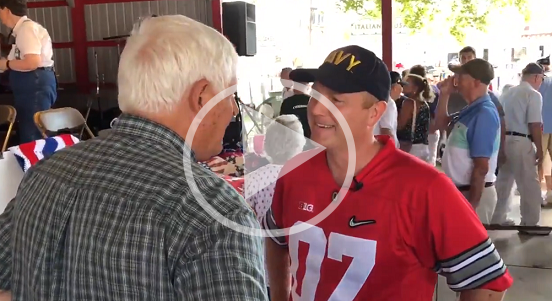 After months of avoiding any and all calls for a public debate before the general election, Ken caught up with Congressman Bob Gibbs and asked him in person if he would agree to a single debate before November. He can’t be too busy -- Gibbs always seems to have time to meet with his corporate donors and lobbyists. Team Harbaugh wouldn’t be where we are if it wasn’t for the tireless support of our volunteers and the thousands of Ohioans who have stopped by our field offices and dropped by for an event. If you’re looking to meet up with Ken in the coming weeks, then don’t worry, we’ve got you covered! Ken is also meeting new folks every day in people’s living rooms. Ken talks about winning this race one cup of coffee and one conversation at a time. Most days, you can find him connecting directly with voters and listening to the issues that matter to all of us. Interested in attending or hosting a Koffee with Ken? Give us a call at (440) 345-6563 or see when Ken will be making a stop near you.